Nearly two years after Veo Vessels died, her daughter, 70-year-old Mary Frances Hickman, decided to sell the home her mother had left to her. A sprawling brick house in Oklahoma City’s historic Highland Park neighborhood, it was built in 1924, just a year after Mary’s birth. Decades later, one of Vessels’ great-grandchildren fondly recalls the wood and tile floors, the fish pond, the butler’s quarters, and the multi-car garage where children played house. “It was really, really nice,” says Hickman’s granddaughter, Andrea Martin. That’s part of the reason she’s so surprised her grandmother sold the home in 1993 for a mere $30,000. Despite a debilitating stroke, Martin says Hickman remained sharp, and she had always been business-savvy. As an Avon saleswoman, she had at times ranked among the top ten in the country. “So I don’t know why,” Martin says. “Maybe she just wanted out from underneath it, but to sell it for such a low number — I don’t know. Maybe she got bad advice, maybe she was just tired.” The home’s new owner: Elizabeth Warren, today a Massachusetts senator who has built a political career on denouncing the sort of banking titans and financial sophisticates who make a buck off the little guy. Five months after purchasing Veo Vessels’ old home, Warren flipped the property, selling it for $115,000 more than she’d paid, according to Oklahoma County Property Assessor records. But Warren bought and sold at least five properties for profit at a different time in her life, before the cratering economy and a political career made her a star. In 1993, Warren bought a foreclosed property on N.W. 14th Street in Oklahoma City for $4,000. National Review attempted to contact the couple who had owned it. No phone number or email could be found on record for them, and they did not respond to a letter mailed to their last known address, in Colorado. No public records could be found elaborating on the events that led to the foreclosure of their home. 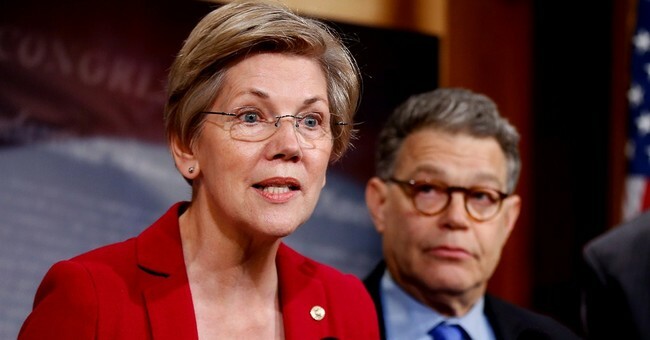 In 2004, Warren transferred the home to her brother, John Herring, and his wife, who sold it for $30,000 in 2006, a 650 percent increase over what Warren initially paid for it. Neither Warren nor her brother filed any permits to make improvements. In June 1993, Warren bought another foreclosed property in Oklahoma City, this one on West Wilshire Boulevard, for $61,000 from the U.S. Department of Housing and Urban Development. Because properties purchased from HUD are sold as is, and because foreclosed homes can have damage ranging from simple poor upkeep to stripped copper, “the only reason you do that is for profit,” says Steve Stout, residential field supervisor at the Oklahoma County Assessor’s Office. Warren has been outspoken about the dangers of home foreclosure. In a 2002 book, The Fragile Middle Class, co-authored with Teresa Sullivan and Jay Lawrence Westerbrook, she wrote that foreclosures are “notorious for fetching low prices.” And as a professor at Harvard Law School, in the wake of the financial crisis, Warren served as a member of the congressional panel overseeing the Troubled Asset Relief Program. The panel produced, among other things, a report on the foreclosures taking place across the country. It began with a paean to the place of the home in American life: “Foreclosures are about the home,” it said, which is “the physical and emotional nexus of many households as well as the centerpiece of many Americans’ finances.” Foreclosures, it concluded, “can harm other homeowners both by encouraging additional foreclosures and by reducing home sale prices, while decreased property values hurt local businesses and reduce state and local tax revenues.” A year after buying the foreclosed property on West Wilshire Boulevard, Warren also bought the house next door for $72,000. Despite filing no building permits to renovate at either property, Warren pocketed $34,000 in profits when she sold the first house in December 1994, and she and her husband, Bruce Mann, made an additional $32,000 when they sold the one next door in 1998. That same year, Warren sold another home she and Mann owned for a sizeable profit. The couple had purchased the property, at 4721 Dove Tree Lane, in 1991, filing permits for mechanical and plumbing repairs, according to Oklahoma County Assessor’s Office records. “We’re talking about more than just painting or minor repairs,” says Stout, adding that it could add up to tens of thousands of dollars. “It’s serious work.” Still, the investment seems to have paid off: Warren and her husband paid only $50,000 for the house and sold it for $109,500, a 119 percent gain. The profits from these flipped homes adds up: Even excluding the property sold by her brother, Warren and her husband have made at least $240,500 flipping homes (before deducting the unknown sum they invested in remodeling). For Warren, the far left has ended their effort to get her to run in 2016–Sen. Bernie Sanders (I-VT) is now the progressive alternative to Hillary. So, this story isn’t going to go anywhere as close to the endless saga surrounding the Clintons and their non-profit. Nevertheless, some of Warren’s closest confidants, like Camden Fine of the Independent Community Bankers of America, noted that she probably would admit–privately–to the fact that she’s not ready to run for president; Clinton’s political machine would destroy her; and she’s done a lot in protecting the middle class Senate. Summers has made a lot of errors in the past 20 years, despite the eminence of his research. As a government official, he helped author a series of ultimately disastrous or wrongheaded policies, from his big deregulatory moves as a Clinton administration apparatchik to his too-tepid response to the Great Recession as Obama's chief economic adviser. Summers pushed a stimulus that was too meek, and, along with his chief ally, Treasury Secretary Timothy Geithner, he helped to ensure that millions of desperate mortgage-holders would stay underwater by failing to support a "cramdown" that would have allowed federal bankruptcy judges to have banks reduce mortgage balances, cut interest rates, and lengthen the terms of loans. At the same time, he supported every bailout of financial firms. All of this has left the economy still in the doldrums, five years after Lehman Brothers' 2008 collapse, and hurt the middle class. Yet in no instance has Summers ever been known to publicly acknowledge a mistake. Warren is a stalwart for the progressive left, and her work is emblematic of her political orientation. At the same time, none of this would have been relevant if Warren had come clean about her housing work. There’s nothing wrong with flipping houses or making a lot of money. But, when you channel that passion into becoming the Dark Knight of the middle class, say that foreclosures are a problem, being one of the overseers for the TARP program, and then partake in buying foreclosed homes to bath in the green, it sort of makes you look like the typical politician. Oh wait; someone (Barack *cough* Obama) has already called her out on being “a politician like everyone else” when it comes to other issues, like the Trans-Pacific Partnership. It seems to apply to other issues as well. Again, it may be helpful to keep this little tidbit on Warren in the backburner for a later date.